In an interview on CBS Sunday Morning With Charles Osgood, Snoop Lion (the artist formerly known as Dogg, you know), related himself to the All My Children star Susan Lucci who is infamous for receiving constant daytime Emmy nominations, in conjunction with constant daytime Emmy losses. There's truth in that, actually; the rapper behind Reincarnated has been nominated 13 times, and has never won. Lucci, however, was nominated 19 times before her big win, so maybe he's got some waiting to do 'til he finally takes home a gold statuette. The interview, which goes live at 9:00 a.m. on Sunday, Jan. 26 on CBS, will delve pretty deep. The press release for the interview stated that he'll talk about his childhood growing up in California, his casual use of marijuana, his feelings about violence, his career, and even his interests outside of rapping and pot. He likes to coach youth football! Bet you didn't see that coming. And of course, he talks about Reincarnated, which is nominated for best reggae album this year — which is where the Lucci reference came in. Cue the dramatic soap opera music! Erica Kane couldn't have put it better herself. The 2014 Grammy Awards will air Sunday night, Jan. 26 at 8 p.m. on CBS. 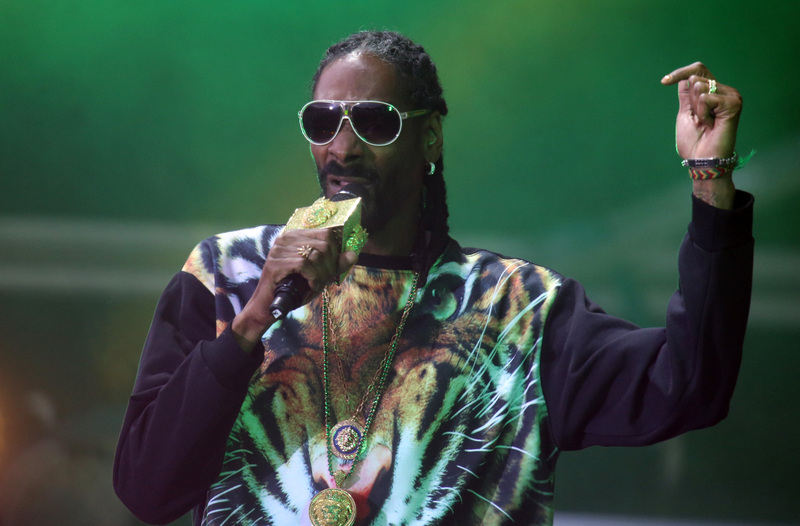 Good luck Snoop Dogg, er, Lion.